Information technology has to balance patient privacy and smart strategic planning. 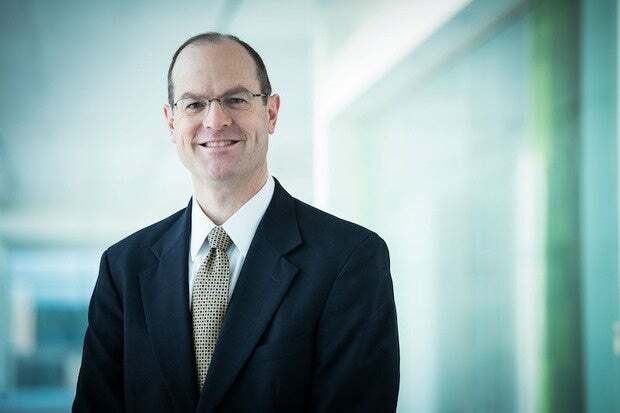 Senior Vice President and CIO Eric Foster is leading the tech charge at the biopharmaceutical company Baxalta. He shares how technology is rapidly evolving within his industry and the opportunity it provides to re-shape healthcare. How does Baxalta’s patient focus influence its approach to technology? At Baxalta, we have a strong emphasis on being patient centric and everything we do is about creating value for them. Patient-centricity shapes our priorities within our company, so that we focus on initiatives that increase value to the patients we serve. Anything not aligned with patient improvements would be deprioritized. Second, we are using technology to directly enable patients and healthcare providers to deliver better health outcomes. We’ve been developing technology-based solutions that are used by patients and healthcare providers to help them live better lives. As an IT organization, we are seeing a clear shift from focusing primarily on enabling the internal operations of the company to directly providing strategic solutions for our external stakeholders. How has the higher security necessary for healthcare made your CIO role different? Regardless of the industry, all CIOs are facing an evolving regulatory and compliance landscape. A strong security foundation has always been important to us and will continue to grow in importance as we deploy more external-facing services. As the value of information continues to grow, we must ensure that we are keeping pace with a changing landscape to protect our proprietary information. Security is so important to us that it is one of our four priorities in our IT strategy. Our other three key priorities are technology simplification, digital health, and unlocking the power of information. As technology has evolved, how are you including non-tech leaders into the IT conversation? Most leaders in our company recognize the value that technology can play and the advantages that can be created by using technology in innovative ways. Many of our internal business partners are proactively bringing ideas to us about how we can help our patients, so the conversations happen quite naturally. Our IT leadership team is also integrated into decision-making forums across the company which gives us the opportunity to provide a technology perspective to key business issues. And, finally, because we are constantly looking outside our company for new approaches, we bring ideas from the outside and pursue new opportunities that others haven’t considered yet. In what ways have technological advances made your job more complicated? Managing technology complexity has always been a challenge, but because the use of technology continues to become more pervasive it’s a growing issue. Not only do we need to continue to transform internal business processes, but we also need to deliver solutions and services to external stakeholders, while ensuring that we protect information and technology assets across all those platforms. But while the complexity grows, our task is to develop an architecture that can be resilient to change and allows business capabilities to evolve as needed. The consumers of technology don’t want more complexity – they want things to be easy and intuitive. When you talk to employees, their expectations have been shaped by their experiences at home and with consumer apps. That becomes the expectation for everything and the real opportunity with complexity is to hide it. What is the one tech trend that will be passé five years from now? Some of the things we’re talking about now, we’ve been talking about for many, many years. They are just manifesting themselves differently. And so many trends are fairly long-lived, even though they may not receive the same attention after a period of time. If I had to pick a trend that would be receiving less attention in five years, it would be mobile health, or “mHealth”. While there is a lot of current interest around mHealth, I think it will be considered table stakes in five years and not a differentiator. Technology is being embedded into everything we do and everything we use, so the concept of mobility as something special will likely disappear, since technology will just become a seamless part of all of our experiences.